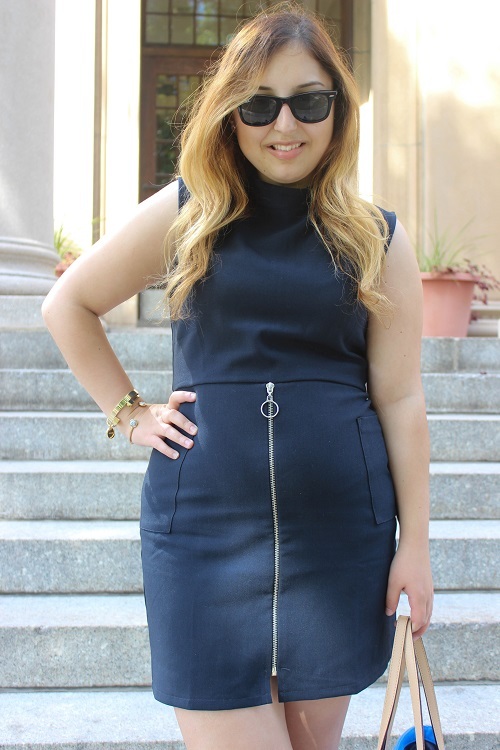 One of my favorite end of summer purchases is this navy blue dress from Forever 21 that I scored for only $22! I actually shot these photos a couple weeks ago back when the weather was still warm but for the fall I'm wearing it with some tights and a leather jacket. Oh and did I mention it has pockets which as you know is my obsession last seen here. Another one of my obsessions is the 70s trend and this dress defiantly shows it with the turtleneck and retro zipper. I could seriously go on and on about this haha. 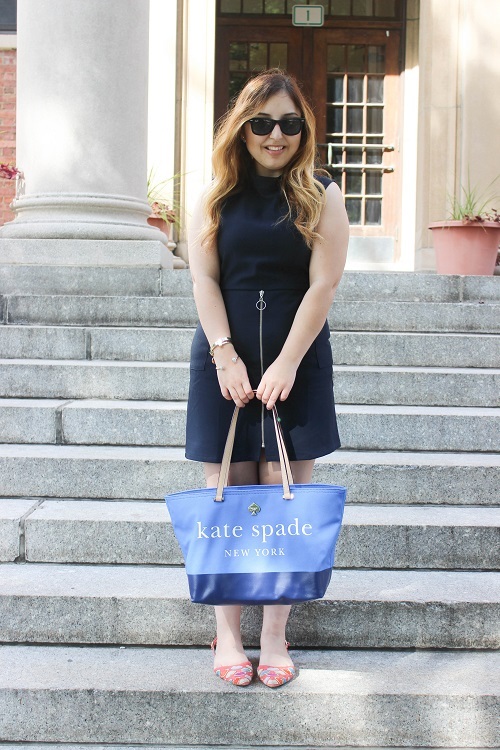 I paired the dress with my school bag which is this Kate Spade tote that I found at Nordstrom Rack. Seriously the best school bag ever cause it's so lightweight yet roomy and perfect to take from school to work. Speaking of work, October is such a busy month for me with Rochester Fashion Week coming up and having to work for it. Many people ask where I work and it's at Ruffles Boutique which is a local shop that participates in all the fashion events going on in town. Ruffles is going to be featured in two of the shows that week so I'll be there helping the models get dressed and etc. I was thinking of writing a post about my experience working for the local "fashion industry". What do you guys think? It's crazy to think that I went from attending it last year to now actually working behind the scenes for it. It goes to show that hard work pays off and to always stay hopeful because you never know where you'll end up! This dress is so chic, unexpected and different! And I LOVE the little pop of color with the shoes paired with it. Such a cute look on you! Love that dress on you! The zipper is so unique! Love the zipper on this dress! It's awesome that you scored it for such a reasonable price too. 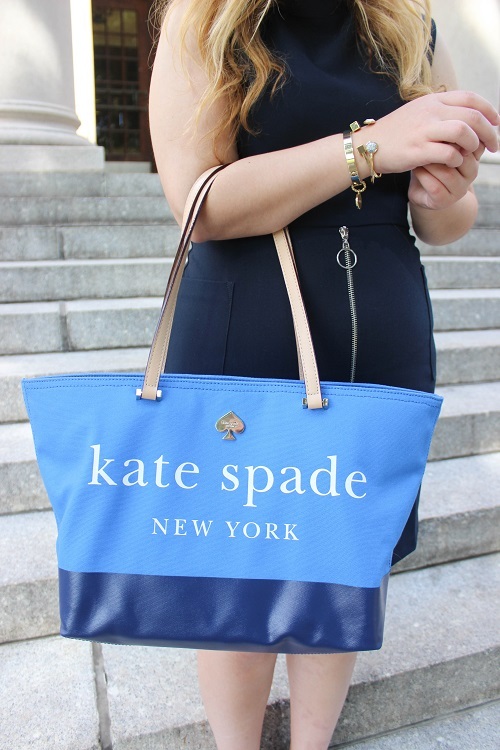 That tote is perfect for your dress. This is so simple and classy. I love it! How exciting to get to help with local fashion events too, I imagine it must be a lot of fun for you! That tote is too too cute! I love it! All of your cuffs and bracelets are so pretty. I am obsessed with your dress and that tote! 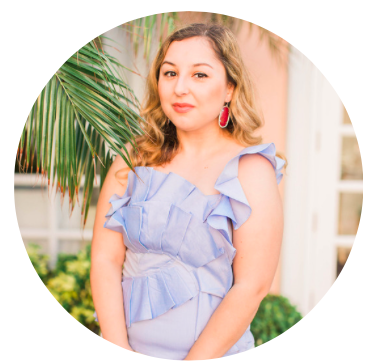 I would love to read a post about your experiences working in the fashion industry! Your bracelets are so so cute! I love finding inexpensive fashionable pieces at Forever 21, it's always such a major score! I absolutely love your bag and your fun zip dress. So cute!! I love that fun bag! Such a cute dress! 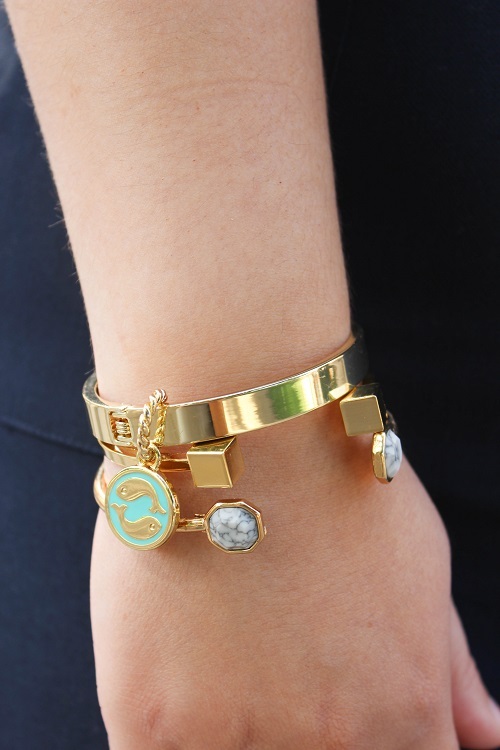 And that bracelet is my FAVE. This dress looks amazing on you! So exciting that you get to work behind the scenes for fashion week! I love your dress! It's so chic! What a cute outfit! Love the bag!! 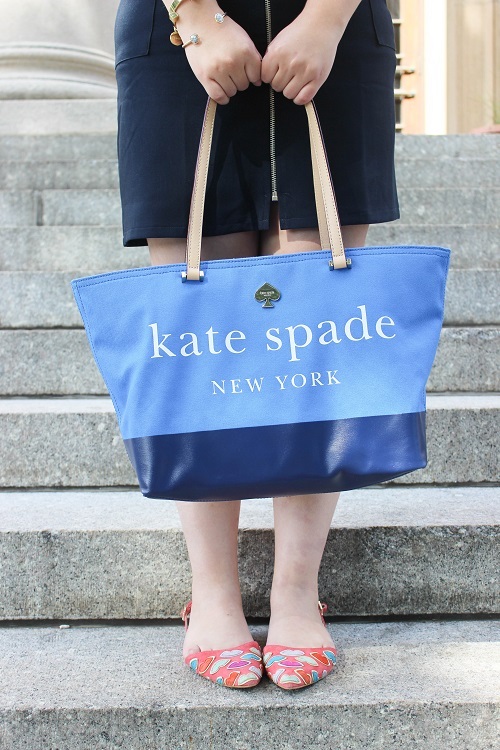 Kate Spade totes are absolutely amazing. I had one for my internship over the summer and I used it everyday!